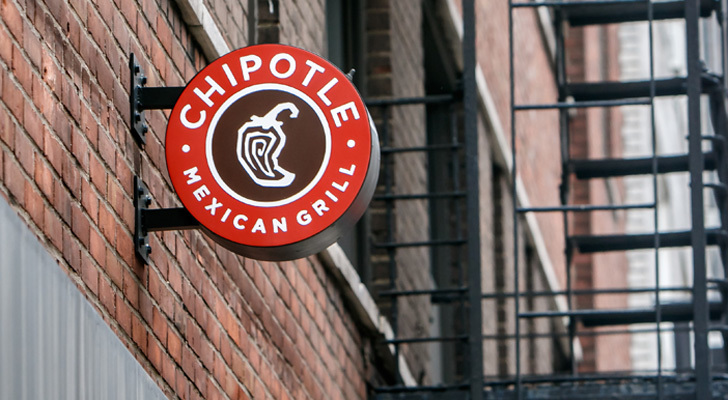 Chipotle Mexican Grill (NYSE: CMG) made the right move by hiring a complete outsider with a great track record as its new CEO. But Chipotle’s incoming leader, the CEO of Yum! Brands, Inc (NYSE: YUM) Taco Bell, Brian Niccol, will have to do a great deal of heavy lifting to turn around Chipotle and CMG stock. To be honest, there’s a good chance he won’t succeed anytime soon or succeed at all. So investors should wait for signs that the turnaround is taking hold before buying Chipotle stock. Using social media and innovative menu offerings, Niccol managed to completely reinvent Taco Bell’s image. The Tex Mex fast food company went from being completely disgusting in the eyes of most people to a somewhat popular “guilty pleasure,” late night snack destination, especially among millennials. Like Taco Bell several years ago, CMG needs a complete image reinvention at this point. Of course, Chipotle has had a series of foodborne illness outbreaks that have very badly tarnished its image as a provider of healthy, wholesome food. And, as I’ve written in previous columns, the company has lost its key point of differentiation as many more fast food destinations have begun offering healthy food choices. As a result of these trends, CMG stock has plummeted, losing around 60% of its value since its 2015 peak. On the plus side, Niccol has shown that he knows how to completely turn around a restaurant chain’s image and results. It is quite possible that he’ll find ways to restore Chipotle’s image as a purveyor of healthy food and create dishes that will really resonate with at least some segments of the public. If he succeeds in accomplishing those goals, CMG stock easily could double or triple from current levels. But given the multiple outbreaks of horrible food poisoning caused by the restaurant’s offerings over multiple years, it will be very difficult and take a great deal of time to dislodge the negative image of the company that has built up in many consumers’ brains. And the tremendous competition in the healthy fast food and Tex Mex markets mean that Niccol definitely has his work cut out for him. There’s a good chance that both of the tasks will be too much for even an obviously brilliant executive like Niccol to accomplish. As a result, investors should, as I mentioned earlier, wait to see signs of a reversal before plowing money into CMG stock. More specifically, if CMG under Niccol’s leadership begins taking measures that start to make people more positive about the safety of the company’s food, investors should consider buying CMG stock. If Chipotle also begins unveiling new dishes that people really like and starts taking measures that significantly differentiate it from all the other Tex Mex restaurant chains and purveyors of healthy fast food, then investors should run to buy CMG stock. Of course, it may be difficult to tell whether the company is accomplishing these goals. But rest assured that other InvestorPlace writers and I will give you good advice about whether CMG is making real progress. I don’t agree with those who say that Niccol’s hiring is negative for CMG because he comes from Taco Bell which is not as upscale as Chipotle. That’s silly; what’s important in a CEO is not his or her specific background, but his or her ability to think creatively and develop effective strategies. Niccol has shown he has those skills in spades. Still, Chipotle is facing a significantly deeper hole than Taco Bell was, so it pays to wait before buying CMG stock. As of this writing, Larry Ramer did not have positions in any of the stocks named. Article printed from InvestorPlace Media, https://investorplace.com/2018/02/new-ceo-cmg-stock/.